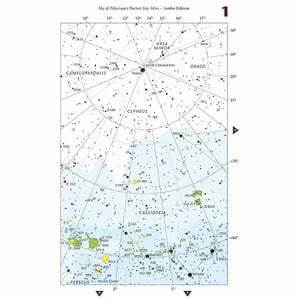 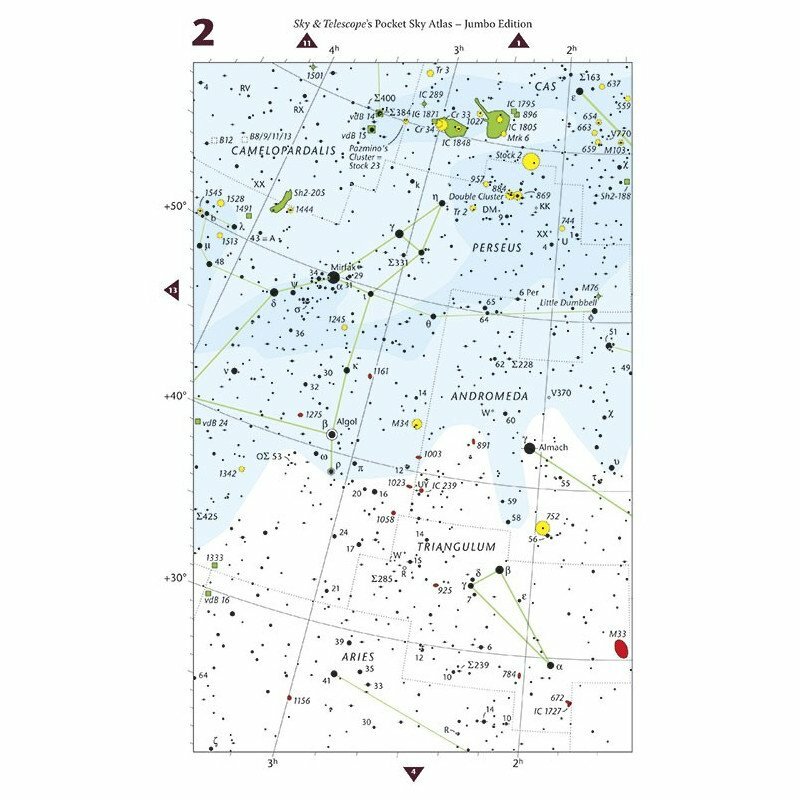 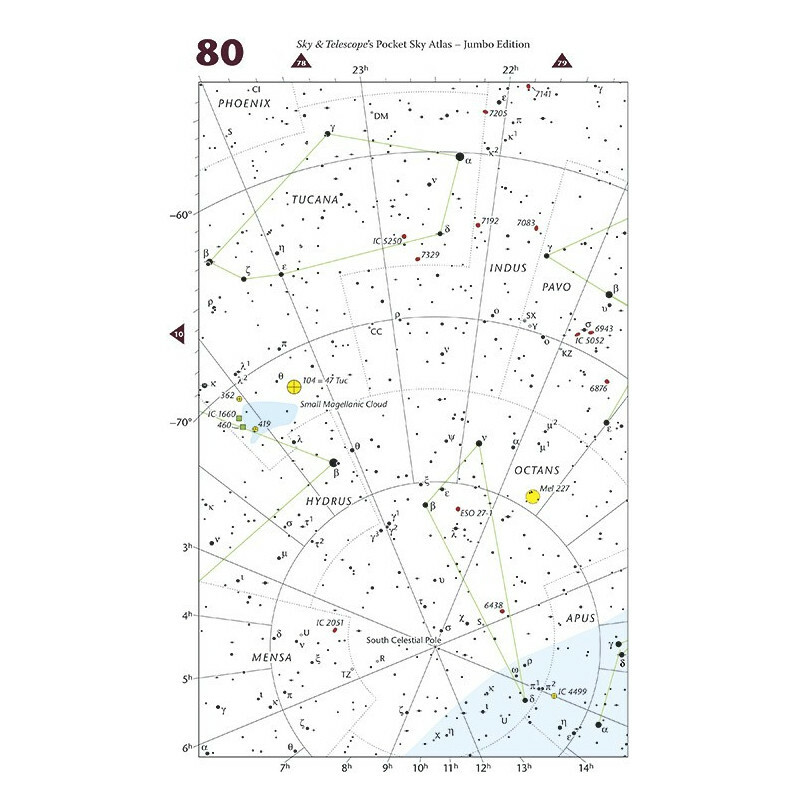 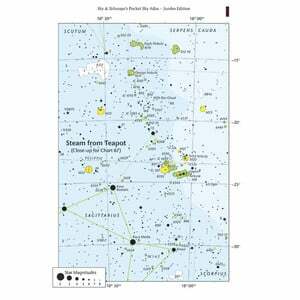 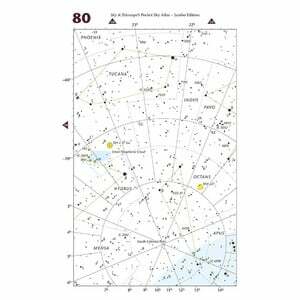 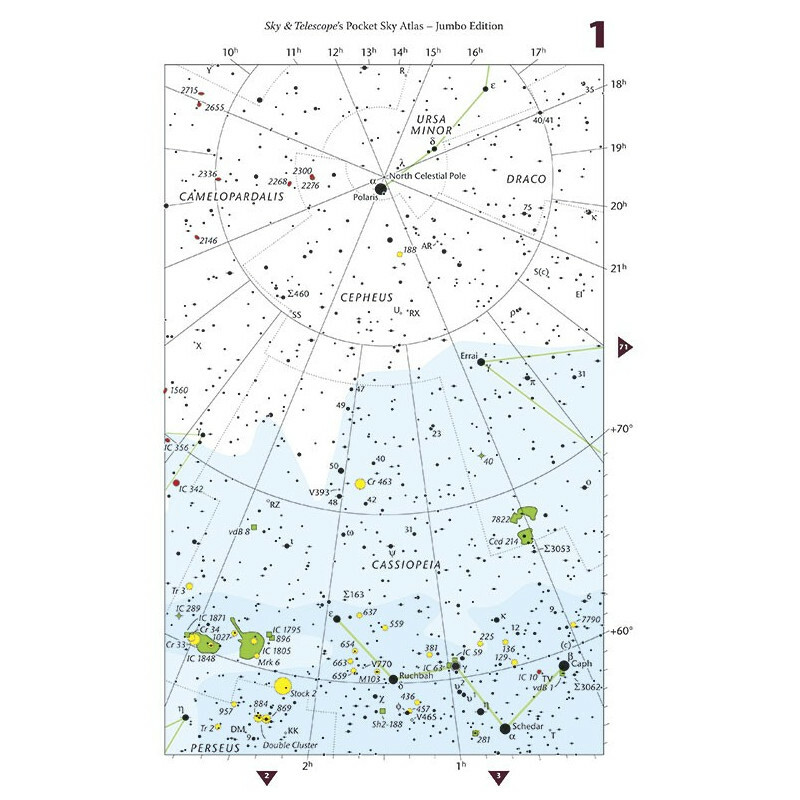 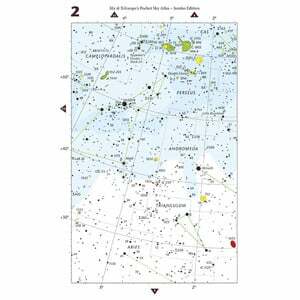 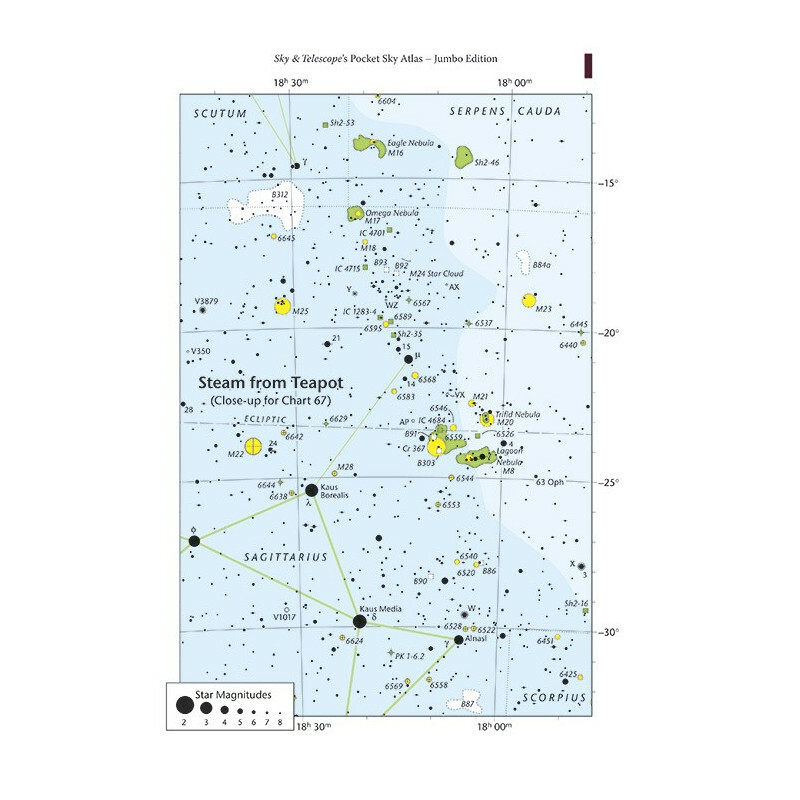 Starting with the famous Pocket Sky Atlas, Sky & Telescope enlarged all its 80 charts by 25% and added six more close-up regions (for a total of 10): the Sagittarius Milky Way, the tail of Scorpius, the Big Dipper’s Bowl, the surroundings of Deneb, the Cone and Rosette Nebulae area, and Leo’s galaxy-rich tail. 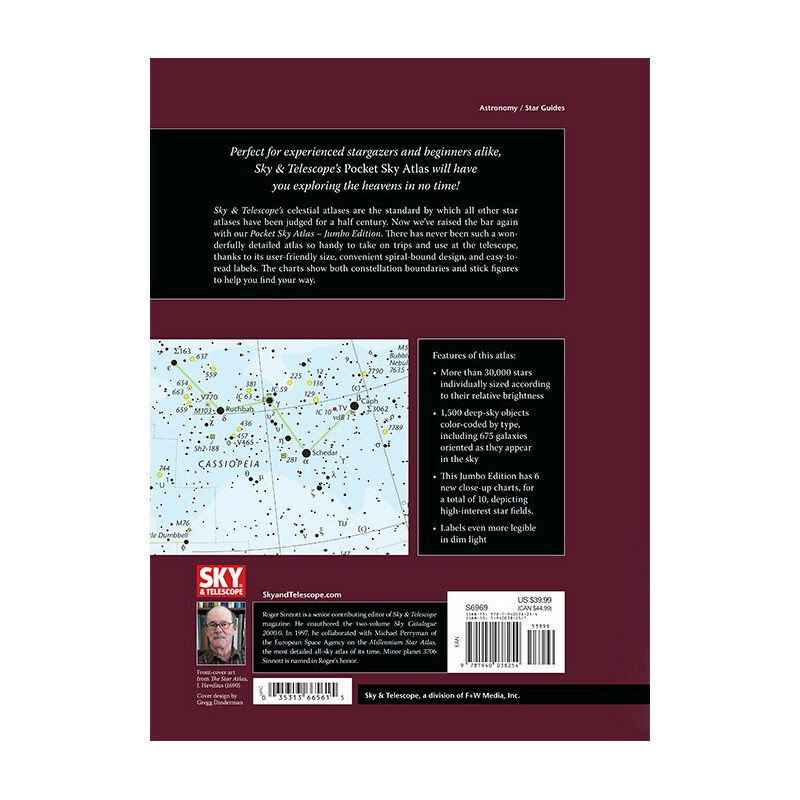 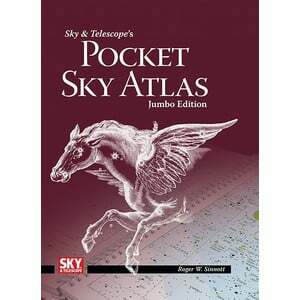 The result is Pocket Sky Atlas – Jumbo Edition. 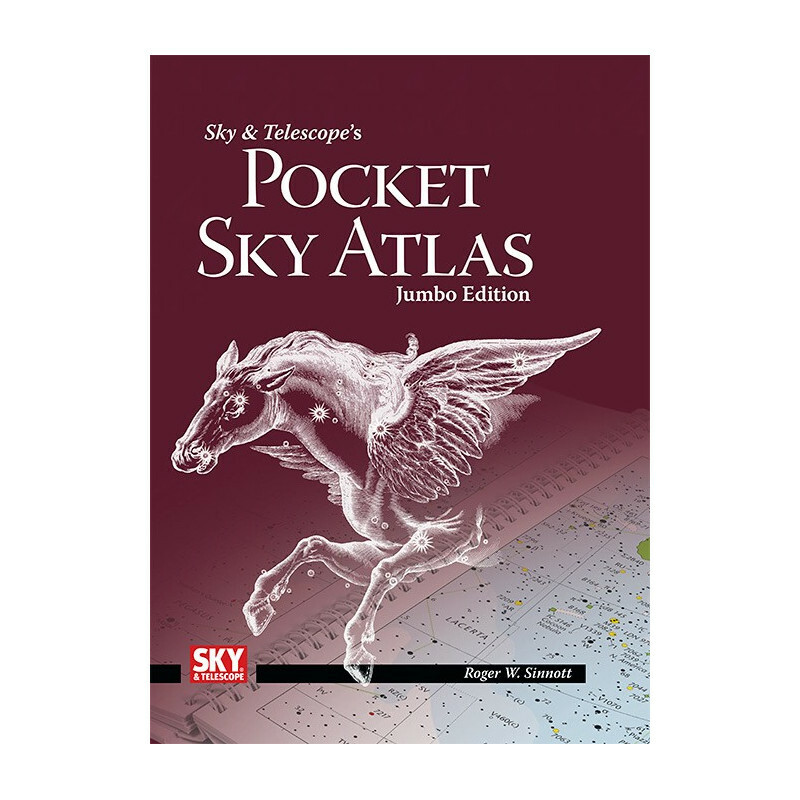 There has never been such a wonderfully detailed atlas that’s so handy to take on trips and also easy to read at the telescope — thanks to its still user-friendly size, convenient spiral-bound design, and easy-to-read labels. 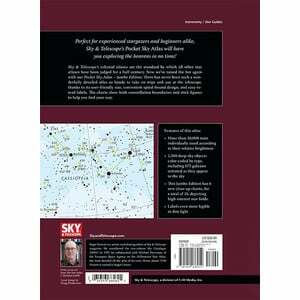 With more room for your own pencil notes and additions as well.